Great American tee, union-made in the USA in pre-shrunk heavyweight cotton with a pocket. 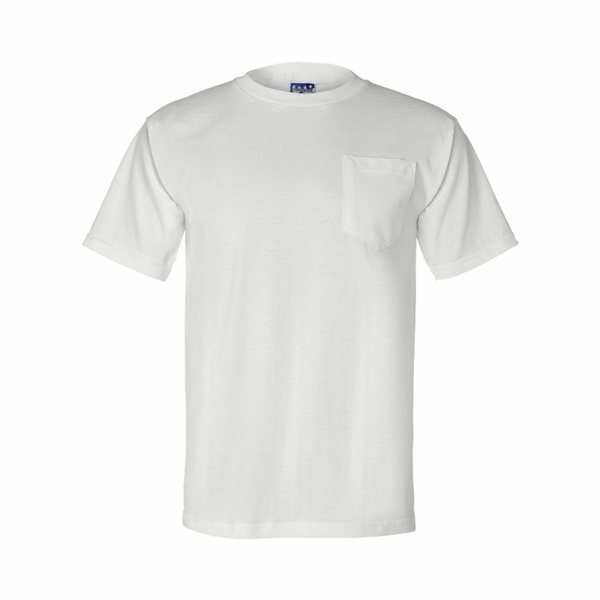 6.1 oz., pre-shrunk 100% cotton. LOVE IT! fits great. Nice torso length. Awesome ordering more in the future! I'm pleased with this product.